This guide is written to assist homeowners or business owners in their choice of blinds. 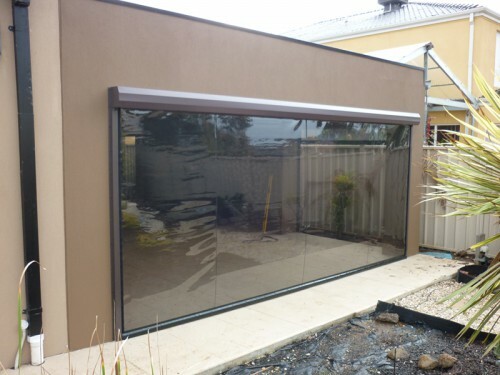 We hope this information will deepen your knowledge about this type of blind material and the options available for installation in your outside area. 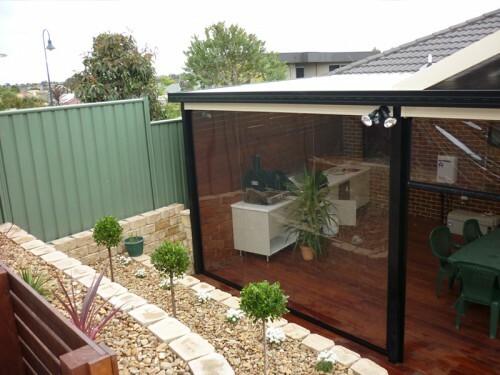 PVC is technically Polyvinyl chloride but more commonly referred to as just PVC. Unless you are a chemist, it should not be confused with its close cousins polyethylene and polypropylene. The PVC in clear plastic blinds, is flexible and not rigid like the same plastic used in construction for pipes, doors and windows. Are all Clear PVC Plastic Blinds the Same? 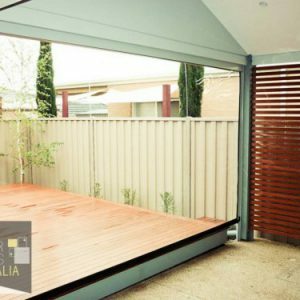 We can’t speak for other suppliers such as Bunnings and Masters, but our PVC material is directly imported from Japan, not China. We buy a marine-grade plastic which is particularly high quality as it is manufactured to be resistant to corrosive marine environments. Cheaper PVC plastic is typically imported from China and can be visibly thinner (and much cheaper). Generally speaking it is far less durable and scratch resistant than the Japanese variety. We’ve noticed this cheaper material will dull or yellow with sunlight exposure, fade and scratch very quickly, meaning your blinds only look good for a few months before you need to replace them again. For high exposure, wild weather areas we always recommend the Japanese product. 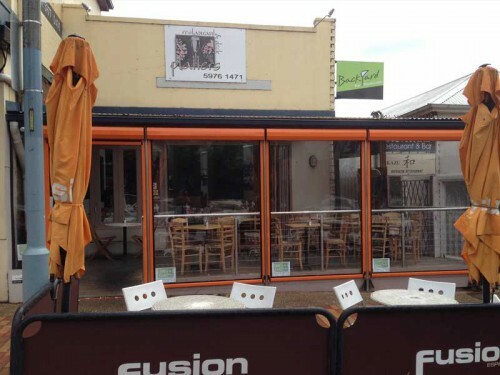 Are These the Same PVC blinds You see in Cafes and Bistros? 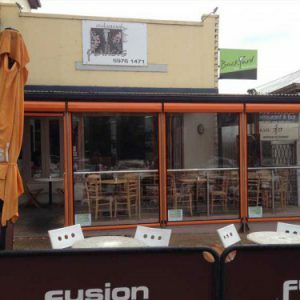 Click on this link if you’re looking for commercial clear cafe blinds for your cafe, restaurant or bistro . There is no difference in the plastic that is use, but the terminology and some of the fittings used around the edges will differ. 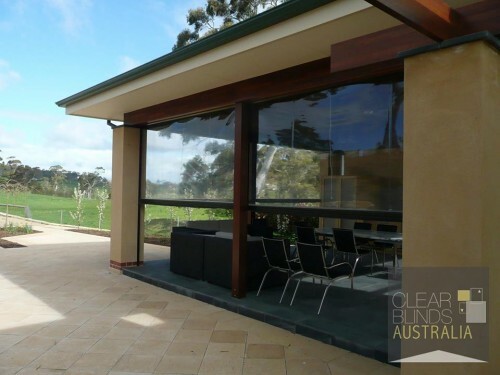 These blinds go by many names including: Clear Plastic, Clear PVC, PVC, Bistro Blinds, Cafe Blinds or Restaurant Blinds. Owners of commercial establishments require higher quality fittings suitable for regular use due to the number of times these blinds need to be operated every day. Again, some installers will use cheaper plastic and fittings for home jobs versus commercial contractors who (should) use higher grade materials. 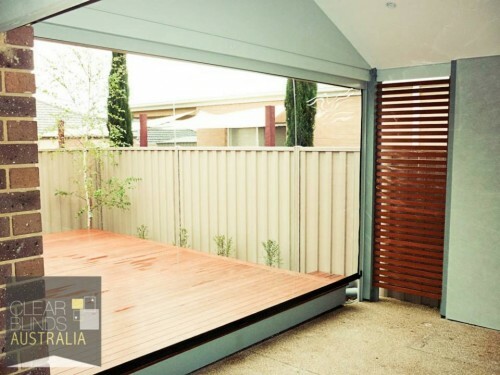 We use the same commercial-grade material for both our home and commercial installations. 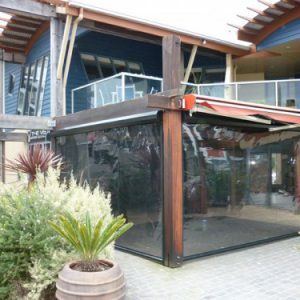 The most obvious benefit is its transparency meaning that you can have a clear view of your outside area. 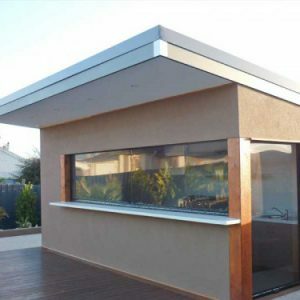 However, plastic stops not just water, but air so this blind material finish is often used together with almost air-tight tracking systems which help enclose outdoor areas off creating a makeshift room. Many people like to use heating elements to create a room they can use comfortably in the Winter without getting too cold. 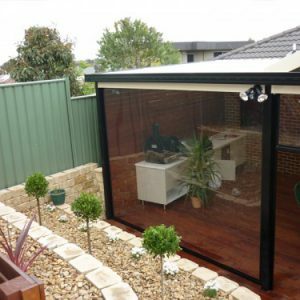 You can order a measurement and installation of clear plastic outdoor blinds anywhere in the Melbourne and Mornington Peninsula areas. 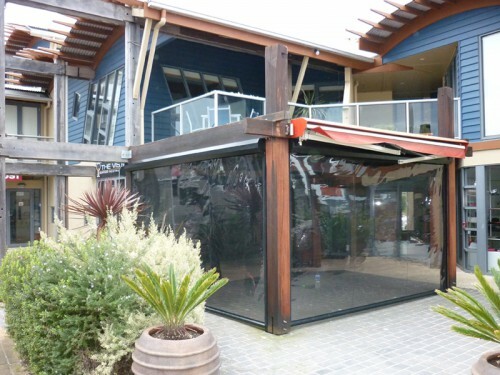 We have produced blinds for Sydney homes as well in the past. How much do PVC Blinds Cost? Our price depends on the particular system that you would be interested in. Prices vary from $300 to $2000 per blind. 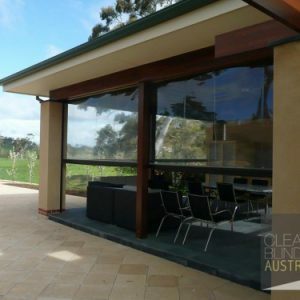 The final cost of clear PVC blinds varies depending on the size of the area you need it for and the attachments you require. For this reason you need to first supply us with measurements of the area you need your blinds for. If you can’t do this we offer a complimentary measurement service at your address. 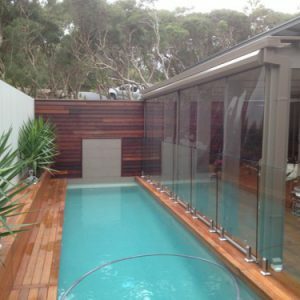 At this visit we can also talk to you about the different options we would recommend given your particular needs. From here we can then supply you with an accurate quote. Note we will not be the cheapest as we use higher quality materials and custom make these products to size. 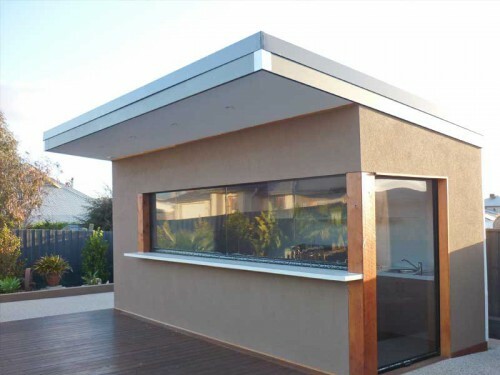 If you are after standard sized blinds, your best bet is to visit your local hardware. 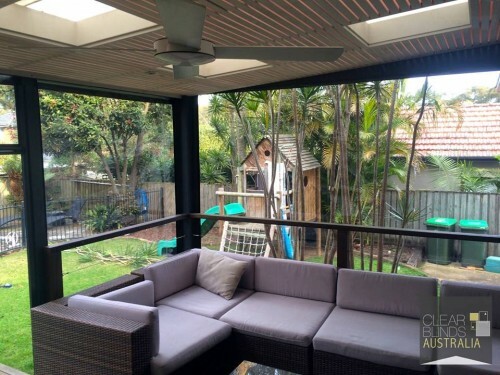 View pictures below which feature clear plastic pvc blinds. We have many more so if you are after something specific, please get in touch so we can show you our full portolio. Installing blinds can be very fiddly. Every side needs to match up otherwise you will get creases and sags in the blind material which can spoil the finished look. 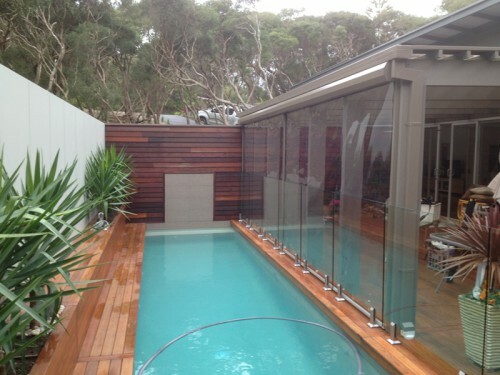 Don’t forget if you need pvc blinds in Sydney or Melbourne we install blinds in both Australian cities. 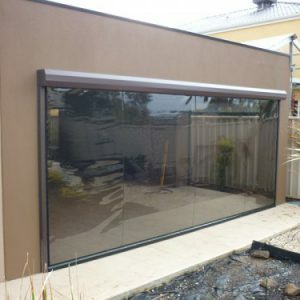 Custom fabrication means our product is made to fit any size of window or door and in almost any colour both tinted or clear. This allows you to add your hint of personality to the blinds you end up choosing. Fill out as much information on the form on this page as you can and we will contact you back to arrange a complimentary measurement. Our company strives to offer excellent customer service from our knowledgeable salespersons and our experienced installation techs. Not only do we offer a satisfaction guarantee, but we have staff on hand to assist you from product selection to installation and repair or maintenance. One of our techs to install your blinds for you and provide you with instructions and contact information in case you need to reach us or require follow-up care. 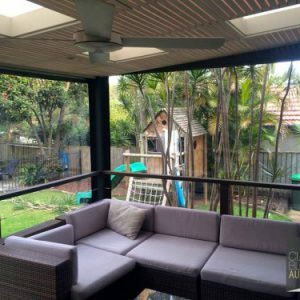 Stop avoiding your outdoor areas and start enjoying them with custom blinds from Clear Blinds Australia.